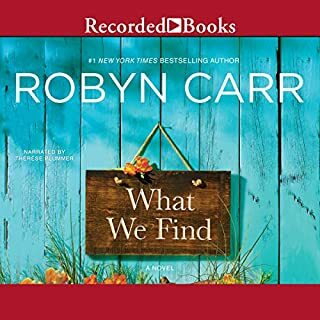 In this poignant romance by RITA Award winner Robyn Carr, two lonely hearts long for a second chance at love. 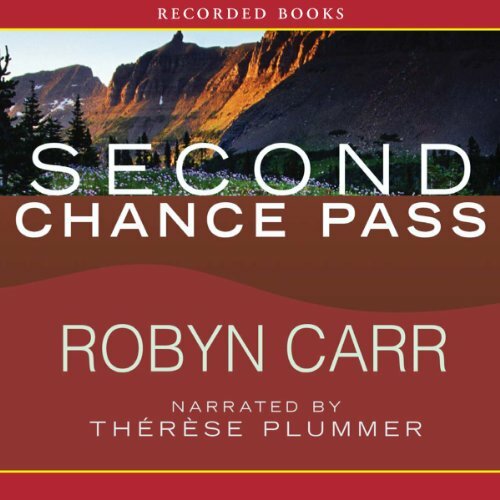 Robyn Carr's Virgin River series continues to be entertaining in Second Chance Pass that includes returning characters and introduces new ones. These people have depth, mystery, strengths, and weaknesses that make them interesting and believable. I enjoyed the multi-generational love stories - teens through seniors. Therese Plummer's narration is amazing. You actually think you're listening to multiple voices. 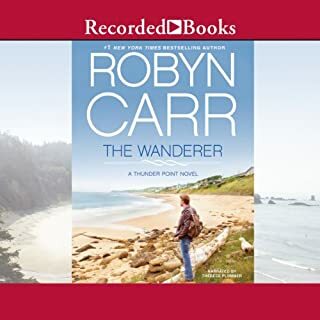 Robyn Carr writes amazing love stories and Therese Plummer is the perfect narrator for her writing. 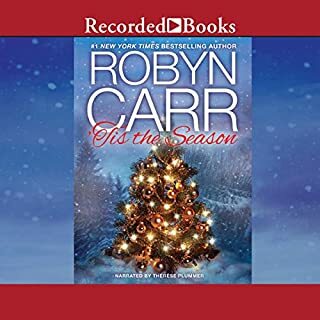 I love this series and anxiously await each one to audible. Second Chance Pass brought so much drama to the story I was amazed. This is no carbon copy of the previous books in the series but expands on the new characters along with the ones we have already come to love and appreciate with such intelligence. This is a awesome writer. I love this series, I love all the characters, I love the narator.... I wish it would go on forever. Can't wait for the next one. Just beautiful. 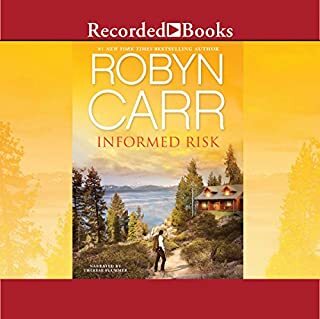 If you haven't had the opportunity to read Robyn Carr, do so now! 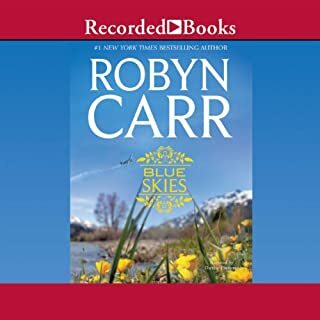 The Virgin River series is a fabulous series! Begin with Book one and work your way through the series. 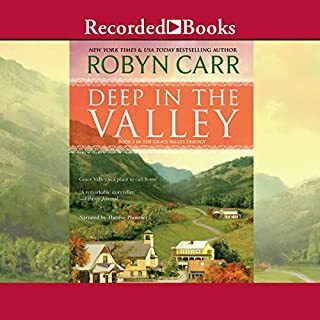 Therese Plummer is the best narrator I have ever listened to, she takes me right into the story and drops me into Jack's Bar with the rest of the Virgin River gang! I would recommend this book to anyone who enjoys a good love story. This series is wonderful and I would recommend reading it in order. Although each book has a main love story, it has many secondary and interesting characters whose lives evolve on each book. How it's such a sweet love story that makes you feel hope and believe in happily ever after even after tragedy and loss occur in your life. Therese Plummer is the best narrator ever. This is favorite love series. I love each book! If it wasn't for the background storyline I would have quit on this one. I didn't like Vanessa at all I kept hoping she could redeem herself. If I was Paul I would have shook the crap out of her I hope she falls into the background and is rarely mentioned. I feel too invested not to carry on in the series. I've enjoyed all the books in this series so far. I liked this one too. I didn't like Vanni. Lucky for me this story has a lot of the other characters in it. Also there are a couple of new love interests that I'm looking forward to. Robyn's writing is good. I just didn't like Vanni and her 'temper'. Which to me seemed selfish and immature. First she is unfair to Paul treats him badly. Then later gets in Joe and Nicki's business. uhggg. I also felt bad for Joe when Paul and Vanni came down on him for something consenting adults do. No one stepped up for him. Real friends? Again. Uugghh. The story wrapped up nicely. I'm glad I won't have to hear Vanni much more. On to the next book! This book was so much fun! Not only was it a satisfying resolution to the torture of waiting for Vanessa Rutledge and Paul Haggerty’s to express their feelings for each other, it was a delightful and substantial reunion with all of the friends we have come to know and love in Virgin River. We spend substantial quality time with Mel and Jack, even getting to be present for the birth of their second child. We get to be there as Preacher paces the room during Paige’s long labor with their first. We are there when Tom and Brenda seal the deal. We get to visit with Rick and Lizzie while Ricky is home on leave, and we get to be part of the celebration as Jack’s band of Marine brothers toast the young recruit before he ships out to Iraq. We even get to enjoy seeing a spark in the General’s eye as Walt starts keeping company with his new neighbor, a movie star named Muriel St. Claire. We get briefer visits with other old friends like Doc Mullins, Jack’s sister Brie and her new husband Mike Valenzuela, architect and former Marine Joe Benson – and even Shady Brady. The characters are multi-dimensional and engaging, the storytelling has layers and texture, and the arks in the tale weave together naturally and with interest. Theresa Plummer’s narration is as solid and involving as it has been throughout the series. She succeeds in creating distinct characters, her men are as good as her women and her timing and inflection succeed in building the excitement as the action unfolds. Again, my favorite of the series. One of a series about Virgin River and its inhabitants.